Some coral reefs recently have started to look rather different. Corals only live in a limited temperature range. The materials of the Earth are constantly cycling through processes that change one sort of rock into another. Rocks form in three main ways. Igneous rocks form when molten magma cools and crystallises. The most common igneous rocks are basalt and granite. Basalt has small crystals because the magma has cooled quickly as a lava flow on the Earth's surface. Granite has bigger crystals because it has cooled slowly underground. But there are also chemical differences between types of igneous rocks. Sedimentary rocks are made of material that has been broken up on the surface of the Earth, then gets deposited in layers. Fossils of ancient animals and plants are often found in sedimentary rocks. Some examples of sedimentary rocks are sandstone, shale and limestone. All three can be seen in the Grand Canyon. Metamorphic rocks are made when other rocks are heated, pressed or both. Examples are slate, schist, phyllite and gneiss. So the Rock Cycle connects all these processes. Try this animated version of the Rock Cycle. It might be hard to prove either way in some cases. In 2015, Boston’s month of snow was a 1-in-26,315 year occurrence. Yet the amount of wintertime cold air circulating around the Northern Hemisphere is shrinking to record low levels. Some researchers are finding that there is probably a link to climate change in some cases of extreme weather. 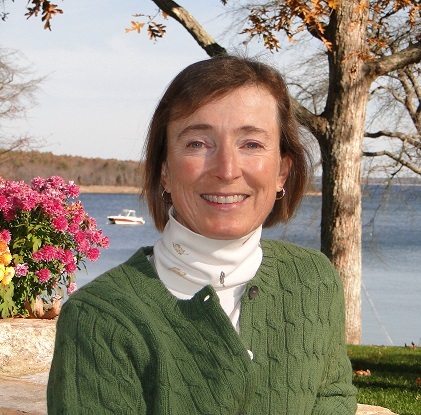 One scientist investigating one area of this problem is Professor Jennifer Francis. Prof Francis is particularly interested in how the odd behaviour of the jet streams is being linked to the way the polar areas are warming faster than other parts of the Earth. China and Brazil had serious droughts, and in the first part of the year the Northern Hemisphere warmed fast, melting the winter snow cover very quickly. In Pakistan, Government officials said that from July 28 to Aug. 3, parts of Khyber Pakhtunkhwa province recorded almost 12 feet of rainfall in one week. The province normally averages slightly above 3 feet for an entire year. Global Warming - How unusual is the rise in Earth's temperature? The last major glacial stage of the "Ice Age" ended thousands of years ago. Since the ice retreated, the temperature has not been totally fixed, but the recent rise is very different. 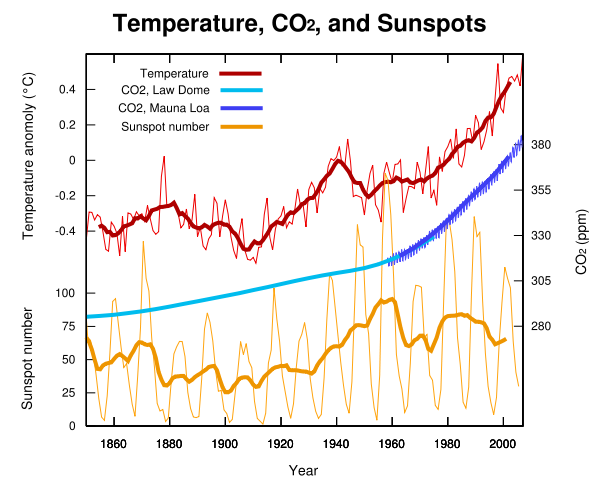 The graph shows that after the ice melted, temperatures continued to rise for a few thousand years. Around 8,000 years ago the global temperature steadied (with some 'wiggles') until about 4,000 years ago. Then the Earth began to cool slowly, and that continued until modern times, with some variations. The sudden rise over very recent times is extraordinary. The rise is linked to increasing carbon dioxide in the air, produced by burning fossil fuels. 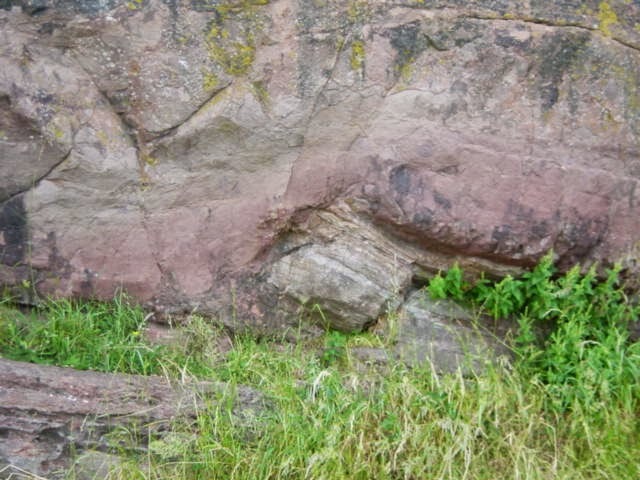 There is a famous rock face just below Salisbury Crags in Holyrood Park, Edinburgh. The rock face tells us about the hot volcanic past in Scotland. It's called "Hutton's Section" after James Hutton who first noticed it. The pale layered rock is broken and tilted by the reddish-brown massive rock. Hutton realised the reddish-brown rock must have been molten magma, pushing with force into the older sedimentary rocks. Edinburgh sits on an ancient volcanic centre. The volcanic activity happened in the Carboniferous Period. In this view, Salisbury Crags palisade stands over the city - it is a sill. On the right is Arthur's Seat, made of four eroded central volcanic vents. This diagram explains how some volcanic landforms are made. Scientists have observed an increase in carbon dioxide’s greenhouse effect at the Earth’s surface for the first time. 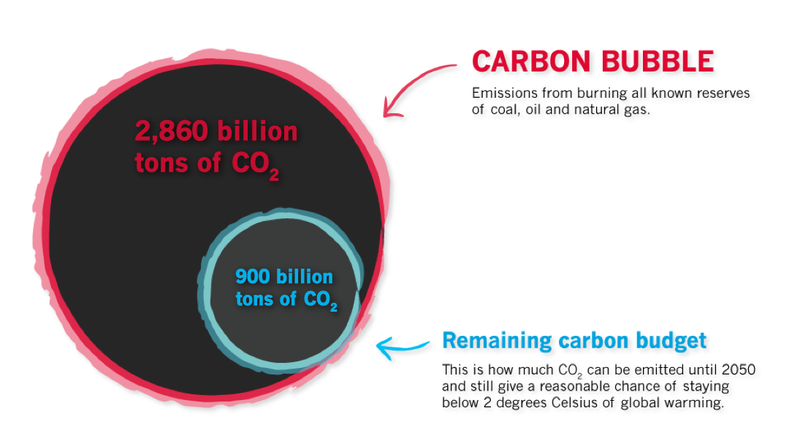 These graphs show carbon dioxide’s increasing greenhouse effect at two locations on the Earth’s surface. The first graph shows CO2 radiative forcing measurements obtained at a research facility in Oklahoma. They link this upward trend to rising CO2 levels from fossil fuel emissions. Radiative forcing is a measure of how much the planet’s energy balance is altered by atmospheric changes. 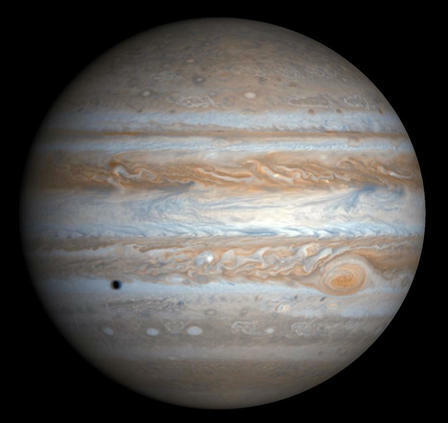 The planet Jupiter has been known ever since anyone looked at the sky. It is a bright object which moves slowly across the starry background, taking about 12 years to track all the way around. Through a telescope it looks spectacular, and even better in pictures taken by space probes. In this picture, the coloured belts of clouds are clear, with a black shadow of one of Jupiter's moons. Small telescopes show four moons, but there are also lots of smaller moons orbiting Jupiter. The four larger moons were first seen by Galileo when he first used a newly-invented telescope in 1610, so they are called the Galilean moons. The four Galilean moons were just small fuzzy objects until space probes visited Jupiter and showed that they are all different. Io has active volcanoes, Europa has an icy crust which may cover an ocean, Ganymede and Callisto are made of rock and ice, but Callisto has far more craters. Russell Coope - the man who counted beetles, and discovered abrupt climate change. We can't drill right down to the centre of the Earth to see what it is made of. The waves from earthquakes are the key to mapping the inside of the Earth. Seismic waves are bent (refracted) or reflected when they hit layers of different types. Studying this information shows that there are several layers. The core has an inner core of solid iron, an outer core of liquid iron. The mantle is made of solid heavy rocks. The thin outer layer, the crust, is the outline of the circle. The crust does not sit on a 'molten sea'. 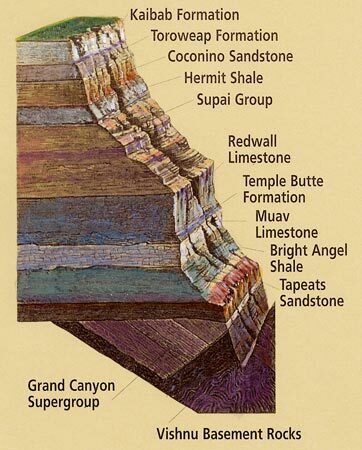 which is part of the upper mantle. This soft layer is how the plates of the outer Earth move. The rocks are kept nearly solid by the pressure of the rocks above. They only melt if the pressure drops slightly. That is how magma can be formed, which can erupt from volcanoes. The crust can move up and down slowly if the load on top changes. The Moon is near enough to see well with binoculars. Its main features stand out clearly. The same side of the Moon faces Earth all the time. 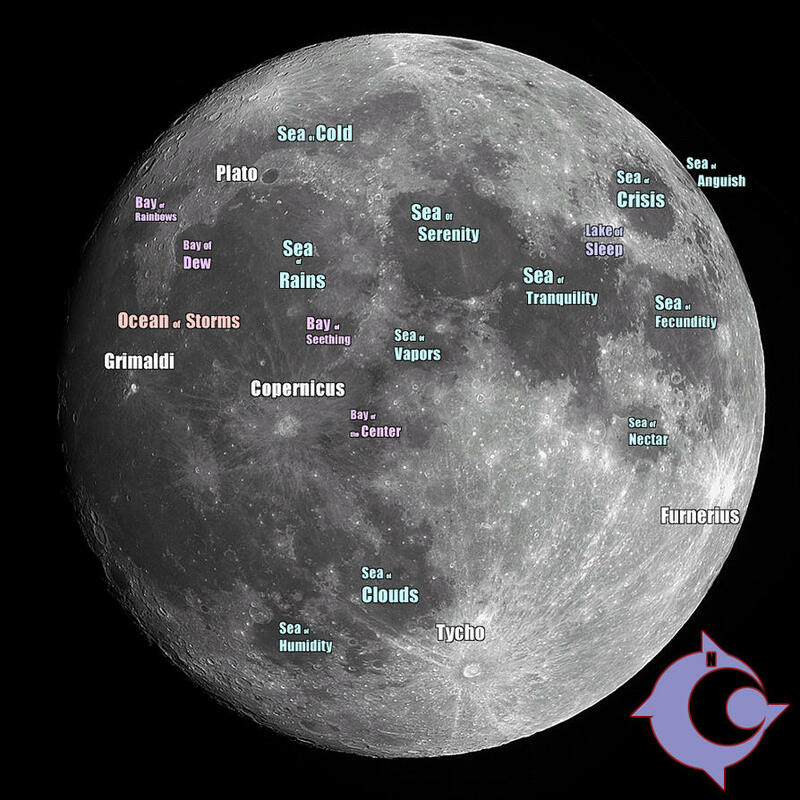 Most maps of the Moon use Latin names for the features, but it is interesting to see the names in English. The flatter dark areas were called seas (maria) and oceans when nothing was really known, but they are actually large, mainly flat, areas of basalt lava. The highland areas are lighter in colour, and made of anorthosite rock. The surface is covered by fine dust, mixed with rock fragments and glass beads. This lunar 'soil' is usually referred to as regolith. The tiny glass beads were formed when meteors hit the moon and caused rock so melt. The molten material flew up and cooled quickly in the cold airless lunar environment to make drops of glass. The far side of the Moon was unknown until space-probes photographed it in the late 1950s. This picture was taken by a Chinese space probe in 2014. It shows a large part of the far side of the Moon, as well as the Earth. The Earth's icy poles - what's happening? Ice, water and water vapour - the three states of H2O....solid, liquid and gas. The Earth has all three, which is unusual. Planets are usually too hot or too cold to have them all. 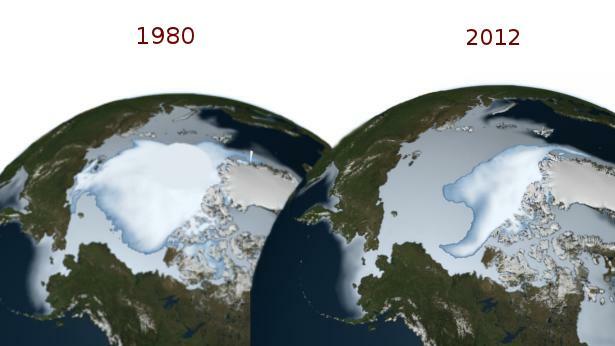 Ice on Earth is melting. 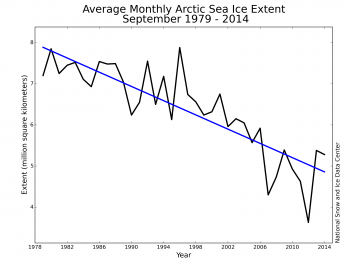 The winter sea ice has increased by around 1 % over the last few decades. This is due to complex processes. It is linked to melting of the land ice on Antarctica….. Here is an outline of what is happening in the seas around Antarctica. Seawater does not freeze until around minus 2 degrees C because it is salty. This effect of salt, of course, is used to help defrost roads. The meltwater off Antarctica’s ice sheets is freshwater. Freshwater has a low density, so it forms a layer on top of the sea. Freshwater freezes (of course) at zero degrees C.
So the top layer freezes more easily. Also windchill helps to freeze that top layer. The Earth's poles are warming faster than the rest of the planet. 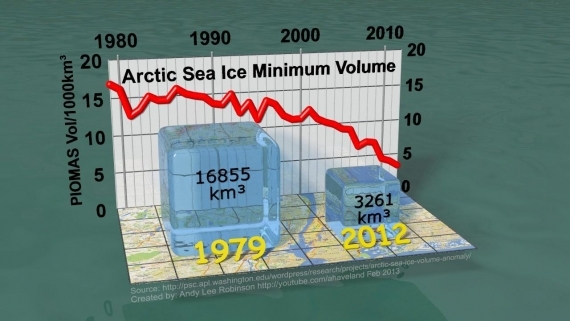 The long-term decline in Arctic sea ice is illustrated in these two graphics. The Great Orme is a headland on the north coast of Wales. When part of the summit area was being cleared for a country park in the 1980s, ancient mineshafts were found. Excavations showed these were very old. Tools made of deer antlers were found, which had been left by the miners. Carbon dates showed the mines were operating from around 2000 BC to around 1000 BC, so they are Bronze Age mines. A copper ore called chalcopyrite. It would have been smelted to extract copper. Copper mixed with tin makes bronze. 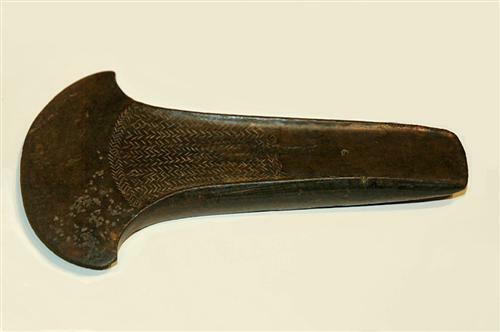 Bronze axe heads were a big improvement on stone axes. One scientist who claimed that the Sun is responsible for the current climate change has been revealed to have been funded by the fossil fuel industry. A remarkable discovery in the fossil collection of the Doncaster Museum and Art Gallery has led to the naming of a new species. The name honours Dorset fossil collector Mary Anning. It was Mary, along with her brother Joseph, who found the first Ichthyosaurus fossils to be scientifically studied in 1811. Until now, no species of Ichthyosaurus has been given her name, so this is long overdue. Dean Lomax, Honorary Scientist at The University of Manchester, examined the specimen in 2008. Working with Professor Judy Massare of Brockport College, New York, Dean spent over five years comparing the Doncaster Ichthyosaur with other museum specimens from around the world. It's a warm world these days. The Earth is going through an extraordinary process.... the planet is warming, the ice is melting, and the climate is changing. This graph shows show world temperatures have changed over the last 100 years. The red lines show the overall rising trend in temperatures, but there are short-term 'wiggles' as well - the most significant is a green wave pattern. Climate change is making animals and plants move.